Comrades! GZM 7 is a modification for the real time strategy (or, more precisely, tactics) game Blitzkrieg I by Nival. This game is themed around World War 2. Seventh version of GZM was in production for three years. It’s based on version 5.55 and was made by a team of more than 20 people, most of them members of BlitzUnion community. Of course, the BK engine got quite obsolete during that time, but we had reasons to continue the work. Thing is, there was no better platform capable of real-time modeling reasonably large-scale WW2 battles at the time. And even now, that niche is still vacant – Blitzkrieg II wasn’t able to compete with the first game, and no other ambitious projects were (like Sudden Strike 3: Arms for Victory, Officers, etc.). More or less successful WW2 RTS games (CoH, WW2) have a different battlefield scale and so cannot pretend to replace BK. That is why, after the release of GZM 5.55 back in 2006, we decided to develop the project further as there was no better platforms for recreating WW2 battles available for modding in sight. 2. To show battle process with maximum realism (as far as the BK engine allows it). This goal demanded a full park of units and objects which we created. An important part of the project is a new combat system which moves BK closer to Wargame style. All of that means unit stats are now as close to realistic as the engine allows. 3. To create a universal resource base for the making of new maps and chapters, complete with a full virtual encyclopedia of “operational” WW2-era equipment. 4. To show that the USSR made the largest contribution to the defeat of world Fascism and Nazism. And also to show (as good as the engine limits allow) “how it was in reality” to all the people who defend “liberal-democtaric” or “pro-western” views (about USSR drowning the enemy in Soviet soldier corpses), “resunists” and other such types. 5. To form more or less correct image of World War 2 among the current youth, to awaken the interest to our own history among them. Read this BEFORE attempting to install GZM 7. 4)	Ailogic.dll – this is not a part of the mod. This file is from Stalingrad and is responsible for unit AI. Among other things, it prevents shooting through buildings. This is a default standard for the mod (except when it can negatively impact the functioning of the mission). Keep in mind that if you want to use that in multiplayer, all players should have the same version of it or else the games will not be compatible. GZM 7 has much higher hardware requirements than original Blitzkrieg. Operating system requirements are the same however. Minimal configuration: Intel Pentium 2 GHz CPU, 1 GB of RAM, GeForce 5700/Radeon 9600Pro GFX card with 256 MB of memory. Normal configuration: Intel Core 2 Duo E4400 CPU, 1.5 GB RAM, GeForce 8600 or Radeon 1650Pro GFX card with 256-512 MB memory. Recommended configuration: Intel Core 2 Duo E6600, 2GB RAM, GeForce 8800GTS/Radeon 4850 GFX card with 512 MB memory or more. In any case you’ll need about 12 GB free space on your HDD for mod files, temp files and saved games. Unpacked mod files alone take 9.5 GB. ATTENTION! ACHTUNG! All of the resources made by GZM team and contained in GZM mod (maps, units, buildings, effects, sounds and more) are intellectual property of GZM team, and can be used in other mods only with author’s permission. This especially concerns foreign modders and their mods, local modders can solve this simpler. Achtung! Achtung! The mod is NOT to be used commercially and should only be distributed free of charge. This mod was developed on enthusiasm alone, the team spent 3 years of their lives and innumerable amount of work to get it done and make sure it is THE best mod for Blitzkrieg. Considering the present economic situation (material state of many of the developers leaves much to be desired), BlitzUnion community considers it fair if the players have a possibility to support the team with money. We’ll be happy to accept any sponsor help. This can be done using our contact data which is located in the end of this file. GZM absolutely MUST be installed into ‘clean’ Blitzkrieg I, so there should be no other mods in this copy of the game. Also, it is strongly recommended to manually clean the maps and scenarios folders (those are located inside Data folder) at least once per campaign (after about 8 chapters). If you don’t do this, you may encounter a problem where when you advance to the next chapter, no mission marks appear on the map. ACHTUNG! ACHTUNG! The mod requires the texture quality to be set to MAXIMUM in game settings (not to COMPRESSED or LOW). Setting anisotropic filtration to ‘Application preference’ in videocard driver settings is recommended, too. If you get graphics artifacts like violet textures, you may need to tweak some more graphics driver settings (this is a very rare case). 2. In the process of installation 2 files (original BK ailogic.dll renamed to ailogic_b.dll and Stalingrad ailogic.dll renamed to ailogic_s.dll) will be placed directly to Blitzkrieg folder, you don’t have to do anything about them. 3. Unpack the installer to some folder, DO NOT run the gzm.msi directly from archive. (you won’t be able to install anything if you do). Run the installer and install the mod to your Blitzkrieg folder. 5. Make sure texture quality is set to MAXIMUM in game settings. Now you can start any campaign. You DO NOT need to activate the mod via game Modifications menu. ACHTUNG! ACHTUNG! You should start a NEW campaign after you have installed the mod, do not attempt to load an old save (even the one made with GZM 5.55) or you’ll get many glitches. ACHTUNG! ACHTUNG! The mod is made for NORMAL difficulty level. All other levels have ‘wrong’ modifiers to unit stats and using them is strongly NOT recommended. ACHTUNG! ACHTUNG! The mod is made for Blitzkrieg, it will most likely not work on Burning Horizon, Rolling Thunder or any other BK-based game. GZM has 5 years of history. The seventh version alone was in production for 2.5 years. We have used many historical and technical sources for reference in our work. The project was started in 2003, when then-recently released game Blitzkrieg left a lot of good emotions and yet more desire to improve it to be more historically accurate. Since modding capabilities if BK were good, the first version of GZM was soon born. This was a correction of ingame parameters to be closer to reality, as well as some small gameplay changes. And it was only 15 MB in size back then. As this first try was successful, in a year a new battle system concept was ready, as well as some new resources. Back then I was only getting my first experience as a modder, so that came with much work. So in 2005 GZM 3.07 appeared, which was the first publically released mod version. It was approximately 250 MB in size. The changes were mainly done to the standard campaign maps, no new maps were added. Main change was a new battle system based on weapon ranges. Unit stats were brought closer to reality. There also were about 100 new units, new weapons and such. This version got some interest from BK fans, some of whom helped with the next version. 2006 saw GZM 5.55 – second released mod version. This was in fact a total conversion of Blitzkrieg (some Ukrainian pirates appreciated that and started selling it under the name of Total Conversion). Size was 2.4 GB. Changelog took 15 pages of text. Battle system was considerably changed, game was brought closer to wargame style. Chronology and probability of appearance of units was adjusted. Many new maps were added, including new random missions, all of that linked into 3 campaigns. 300 new units, new infantry, new medals and many more. Version 5.55 was made with an ambitious goal of showing the flow of Second World War in game, as good as the engine allows. The battle now started in 1936 with the Spanish Civil War, where Communism first confronted Fascism. Development of GZM 6.0 started in February 2007. The 6 was to be an improved version of 5.55 with more new units of own making (about 50) which should have replaced buggy units or units taken from other projects (the status of which was then debatable). Bug fixes and changes to camo values were also in order. In the summer of 2007 it was decided to go directly for GZM 7.0, since the amount of changes made to 6.0 to date far exceeded any plans. Beside that, a way was discovered to implement some unplanned ideas previously thought impossible. Alternative campaigns are composed from a number of chapters linked in chronological order. Chapters, as a rule, contain new maps most of which was made specifically to be used in GZM, the rest of maps were carefully selected and adapted to the mod. Many maps from the original campaigns were replaced, the rest was improved. All chapters make use of new units, objects and infantry corresponding to time period and theater. Despite this, as our maps number about 130 and many more can be created by random map generator, it’s still possible that some inappropriate units or objects may be found on some of them. If such a unit is found, we ask to inform us about it on our forum (please post a screenshot of the problem) so we can fix it. SD – mixed: several campaign maps, but also some random missions. Total of 56 campaign maps. Larges part of map making for GZM 7 was taken by the following community members: Reks, Zigfrid, Scorpion_ss_, Simeo, T-34 обр. 41г., Aldeus. Stalingrad battle: the beginning. Battle near Don bend. Scorpion_ss_ made the map Tank battle for Lauban (Lyuban). Alderus produces a map about the defence against the attack of 9th motorized brigade at Khalkin-Gol. Т-34 обр. 41 created a new, larger-scale Mannergeim Line map to replace the original. With the permission of Dmitry Matveevsky we are using his maps and chapters in the mod, GREAT BIG THANKS to him! Several maps from Spanish Civil War were taken from Spanish Civil War mod by Bob Underdown, translated by Dieter. All of those maps were fully reworked related to units, objects, scripts and force composition (so Madrid looks like a city now). A number of units were made specially for this conflict so we can translate the atmosphere without cuts (and there are very few repainted units from the original remaining now). Chapter Medal for the city of Budapest from Blitzkrieg developers was added to campaign in a reworked form. Apart from new units and objects, it now contains Hungarian troops with their own vehicles and aircraft. The chapter Wacht am Rhein by Tj27 was also used, with some reworking. To represent the dramatism of the Winter War we used chapter 2 from Talvisotta (which was still free at that time btw), because missions from original campaign aren’t suited for that. Yet again we made changes to missions including changed forces and mission objectives. Due to new battle system those maps require a different path to complete now than in Talvisotta. By popular demands we introduced the Japanese Imperial Army as a full side and Pacific theater to use it in. Guadalcanal by frost72 was heavily reworked to add new resources, as well as Philippines by CorpBob. Those two chapters should provide an excellent representation of fierce battles for islands. No original Japanese units remain there, nearly all of the units and infantry are remade by BlitzUnion community. Many new objects and US vehicles were made specifically for the Pacific. Italians are a full side now. They have received greatly expanded fleet of vehicles and aircraft and a full set of infantry, including bersaglieri and paratroopers. Even a full campaign with them as a playable side is possible now (Ethiopian War) (not complete yet). Khalkin-Gol is my own work, judge for yourself how good it is. I’m not the best mapper around, but I did my best. At least those 2 maps give an impression of than conflict. Several maps from other chapters which remained in 7.00 from 5.55 times were based on maps from Operation North (but only loosely based, since those map’s developers often overlooked things like units showing their rear to the enemy or IS-3 in Byelorussian swamps and similar madness). There are 4-5 of those maps, and they are 50-80% reworked, but I still specify the original authors (and GZM is a free mod). Mod is made for Blitzkrieg veterans, beginners might find it way too hard: distances of object generation on maps are the same, but weapon ranges are greater. Mod is a compilation of everything best that was made for Blitzkrieg. Balance and combat system got the special attention. Correspondence to historic realities was thoroughly checked. The player still has his personal units, but not all maps allow to deploy them (most will still utilize them). Maps like Crete or Eben-Emael will only use map-specified units. The player will have to combine different types of vehicles and other units to complete maps successfully. The way to upgrade units with new ones is the same as in original, but the probability to get rare types is now much lower. Don’t expect free KV-2 or King Tigers. Lots of random mission templates and their files were redone (about 1500). New units were added, force placement and composition changed, all in the attempt to make them more unique. Now random map generator decides much more, you can even lose on some of those! Above that, the generator was reworked by utilizing resources from Solvang mod. The resources were not just transferred, but they were used to make full random missions for ALL SIDES (and not only USSR, Germany and Allies). All briefings and objectives are translated to Russian. New templates (about 1000) were reworked with new units and objects. Now random missions can actually be MORE INTERESTING and HARDER than historic battles! Mod stability was improved greatly compared to 5.55, but crashes are still possible. In the case of a crash during map generation, try to select another random map or restart the chapter from auto-save on previous chapter completion. The mod was mainly made for single player, but multiplayer mode was not forgotten. For the proper multiplayer game all participants need 100% identical game and mod versions with all the files being identical. You can use ailogic.dll from Stalingrad, but then ALL players in a game must use it. Some multiplayer maps were redone for the mod (for ex. Ice and Flame is about Winter War now). Multiplayer maps were tested for balance, some may even be called ideally balanced. The list of adapted MP maps follows. ANY maps can be used with this mod, but their scale and unit sets might not be compatible with battle system and historic accuracy. The author expects interested players to help with adapting more multiplayer maps. ACHTUNG! ACHTUNG! All the new multiplayer maps made for GZM7 should have [GZM7] in their name to avoid confusion with original maps and other mods. Notice: [GZM7] prefix does not mean this map is made by us from scratch. It only means the map was worked on to make it compatible with GZM 7 and allows to filter the maps during network play. GZM allows the player to have a greater number of his ‘personal’ units, up to 24 (12 tanks and 12 guns), and more unit types are now available for better balance, historical accuracy or to correct original game flaws. Now each unit has 5 levels of experience. Engineers now detect mines at a greater distance so it’s easier to clear mine fields, less time is spent to micro them. Mod makes the following main changes (small changes are so many that it’s not feasible to count them all). Please read that, so you won’t bug authors with questions that are already answered here. 1) GZM 7 has almost all the mass-produced armored vehicle types and aircraft from all the participants of WW2. There hardly is another project to have this many 3D unit models in a game in the world (and we doubt such a project will arrive, though that is still possible). Detailed unit list will follow later. 2) Armor protection of units is set to correspond with historic accuracy: not only the thickness and angle of the plates was considered, but also the presence of hatches, covers, anti-cumulative screens (Pz. IVH or StuG 40 F/8) and the quality of armor (which at times dropped because of lack of proper components or technology simplification) greatly influence the longevity of units (great examples are King Tiger and early marks of IS-1/IS-2). 3) Apart from hit points, all units had ricochette probabilities adjusted. Now the angling of armor plays a great role. So the Panther has a great advantage over the Tiger and T-34 over T-28E. 4) Turret rotation speeds are as close to reality as possible. So Tigers and Panthers turrets rotate slowly because of the features of their turret drive while a Pz. IVJ only has manual turret rotation with all the consequences. Same for rotating gun platforms on AA vehicles and SPGs. Those speeds are also affected by gun calibers so a 37mm AA gun rotates way faster than a 85mm AA gun. But still the particular gun and base vehicle types matter much, and if they allowed for fast aiming, then ingame unit will behave appropriately. I must note that German prototype SPAA Kugelblitz would not have been a superweapon even if mass-produced just because of its low turret turn speed. This is shown in game, but I had to even increase that speed or else the unit would be useless. 5) Sight distance and ‘quality’ are now closer to reality and optics quality. T-34 has considerably less sight range than a Tiger. Now there is a reason to keep some light recon vehicles in main group, they see farther and spot infantry at great distances. 6) All original units suffered from too high a fire rate. Now this parameter is changed, too. So T-34 cannot fire more often than 5 times per minute (due to poor turret internals design) and Pz. IV can do as much as 12 shots per minute (because of its ergonomic and well thought-out turret). D-1 howitzer can fire 4 times per minute, M1A1 – only once. Early marks of IS-2 can do 2 shots per minute, later – 3 shots, etc. This also affects automatic cannons – their actual combat fire rate can be much lower than their technical fire rate, because of many different factors. 7) For gameplay reasons, hit points of vehicles were increased ‘across the board’. All tanks have their own maximum hit points that depend on the class and particular vehicle type. It’s clear that heavy tanks can survive more hits than light tanks. Hit points were based on real statictical survivability. So for ex. during early war a T-34 could survive 4.9 hits while late-war this was only 1.5. So it will take 2 hits from a 8.8cm kwk 36 or one from 12.8cm kwk 44, but 4 from 5cm KwK 38. 8) As for aircraft, now the proper air defense needs some density of fire. You need at least 3-4 AA guns to defend against Stukas, one gun will not save you anymore. Air can suppress weak AA easily. 9) All the units are armed with proper weapons, using proper ammunition and stats. Weapon damage stats were changed greatly compared to previous version. In general the guns are 25% more powerful. Low-ballistics guns have larger infantry damage radius than long-barreled ones. This makes support tanks and assault guns useful against soft targets. 10) Aircraft received new weapons. Now they can carry not only bombs, cannons and machineguns, but also rockets, incendiary and napalm bombs and cluster weapons.So an Il-2 M3 can use rockets and anti-tank bombs (dropped in bursts of 24). Ju-87B has 4 x SC50 and 1 x SC250, Ju-87D carries cluster anti-armor bombs, many late-war US planes have napalm and incendiaries. 16) Artillery is more survivable (increased about 1.2 – 1.5 times). Factors like presence/absence of the shield, supports, wheels now affect HP. AT guns and heavy machineguns now have high camo level, so good reconnesaince is a must (or you’ll find enemy AT guns only when they’ll start firing at your tanks point-blank). 17) Commander vehicles are introduced, which have improved sight radius and sight quality. 18) Movement and turning speed of all vehicles changed in accordance with their real performance. So the Challenger and Renault R-35 are among the slowest units in game (walking infantry can catch up with them) and T-34 mod. 1943 is among the fastest (only Hellcat is faster). T-34 mod. 1943 outruns the T-34 mod. 1941 now, and also turns better (to show its improved transmission and engine). 19) Some chemical howitzers were introduced to the game. They are mostly useless against armor, but kill infantry very effectively within a large area. They are for use by Italians in Ethiopia and Japanese in China. 24) Supply cost of vehicles was changed according to weapon caliber. This should make suppty more realistic and balanced. Trucks will need to make several supply runs to fully rearm a large caliber gun. 25) Some light vehicles and machineguns can (depending on their maximum elevation angles) shoot at low-flying aircraft. 30) For the first time among games on BK engine, we introduce floating units. Mostly those are Soviet boats, but a flak lighter is also present, as well as a Chinese light cruiser. Engine does not allow to make really large ships though, so to make monitor Terror we had to use a 2D object as its hull and a separate unit for the main turret. 31) Compared to the previous version, GZM 7 has fully reworked wheeled, tracked and halftracked vehicles passability. Things that influence it are mass, ground pressure, number of powered axles, type and size of wheels. 33) New vehicle type: mine clearing tanks. PT-3 based on T-34-76 and T-34-85, Sherman Crab, Churchill Bullhorn. Those tanks can make a path through the minefield even under enemy fire, and that can change the play on some maps quite a lot. 35) Redone flame tanks for all sides. Now their weapons are really different. 36) Railroad vehicle fleet was greatly increased. Poland, Spain, Japan and Germany received their own armored trains, USSR got some new armored wagons. New unit types – armored draisines and self-propelled armored wagons. 37) Unique USSR unit: RUS-2 air warning radar. Radar is stationary. 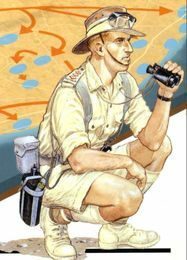 While the unit is mostly just for map decoration, it has a use – when an enemy unit appears in its detection range, air raid siren sound is played. Another unit – sound detection station – does the same. 38) Air component of the game changed and made more complex. Planes are now more differentiated by their stats: maneuverability, speed, purpose. Different plane types fly at different altitudes and so have different vulnerability to AA fire. 39) Apart from many new aircraft models, some existing ones were reworked to have functional defensive and offensive weapons. 40) Some armored vehicles received anti-air machineguns. They can support AA guns now (against ground attack planes only). They won’t do as proper AA vehicles though. 42) Some models from original game (US AA halftracks for ex.) reworked to add missing fire points and some others (SU-76, M3 Grant) were set to proper size. 43) Greatly extended flora list. Now there are 3-4 times more tree types. New palm trees are especially many. Also many new flower tubs and bushes. 44) Many objects and buildings for the East and Africa: Chinese/Japanese buildings, pagodas, statues and island buildings. Take a special note of a large Budda statue. This one even has its own unique sounds! 46) Many new objects and buildings for European theater: statues and monuments, villas, airfield control towers, Victory Column in Berlin, Reichstag, Reich Chancellery and more. A new set of Soviet statues, including the famous Girl with an Oar. 47) New special units – artillery spotter vehicles. You won’t find them on maps, they are made for future works. They can call in off-map artillery strikes which have nearly unlimited ammo, but take long time to reload. They have some AI problems, but in general they can be used. 48) Fuel tanker vehicles for airfields and special missions. Fuel is not added as a resource though, so they are limited to script use. 50) All Soviet heavy SPG can transport infantry and shoot in indirect fire mode. Regardless of selected fire mode, they always fire continously. If supplied with enough ammunition, they can do artillery work. However their range is limited and they have a considerable dead zone in this mode (switch to direct-fire mode to target close enemies). This allows a compromise between their anti-tank use and indirect fire capability. 51) Water bridges. Floating units can move over water by using invisible bridges. Those are set over water in the editor like normal bridges. They can have any length and few different widths. They cannot be destroyed by any weapon. They have a “cz_” prefix in their editor names. In theory they can even be placed along rivers, but make sure they never touch land, or you’ll see tanks and other units water-walking. Those bridges are normally invisible, but you can use textures from included Water bridge folder to make them visible for debugging purposes. 52) Beginning with v7.05, a new unit is introduced – tank-based demolition charge layer. ACHTUNG!!! For all Wehrmach personnel. Field manual for the use of Abwurfvorrichtungen auf Pz.I Ausf.В special combat vehicle. 5. Using a smoke screen, move the vehicle to the enemy bunker from the flank or rear. Never approach a bunker from the front – the vehicle can be destroyed by enemy garrison fire. 7. Vehicle will approach the target on its own, turn its back to the target and deploy an explosive charge. 8. After deploying the charge, move the vehicle to the safe distance immediately. The charge only has a short delay before exploding. 1) Vast majority of units got new high-resolution textures, from 256x256 to 512x512. New units (as a rule) received a full set of textures, more on that later. 2) Re-textured all summer and most of the winter Soviet camo for trucks, armor and artillery. We tried to follow real examples of RKKA camouflage, but often even vehicles in the same regiment were of different color. Therefore there is no single color scheme. Units received identification marks and tactical symbols (numbers, emblems, stripes, triangles, writings, sometimes red stars). We used photos of real vehicles as a source for those. White crosses on turret tops (1944-1945) proved unsuitable for a number of reasons, so we used different aerial identification symbols. Some armor skins have dirt and rust on them. 4) Re-textured all summer and most of African and winter German units (esp. thanks to PanzerMeyer for his new texture standard). Now German vehicles produced before 1943 have standard grey coloring, and those built in 1943 and later are camouflaged or have standard yellowish painting. German camouflage patterns were many, and we tried to show that as best as we could. Units got identification marks (numbers, unit emblems, different crosses, flags and such). We used photos of real vehicles as a source. Some skins have dirt and rust. 5) Luftwaffe aircraft received realistic summer/winter textures, and partially African skins as well. 6) German aircraft and vehicles received swastikas where appropriate. 7) Re-textured all summer and most of African/winter Allied units. Units got identification symbols (numbers, weight signs, unit emblems, different kinds of stars, historically accurate writings). We used photos of real vehicles as a source. Some skins have dirt and rust on them. 8) Almost all Allied aircraft were retextured. 9) Similar measures were taken for Japanese, Italian, Polish, French, Holland, Belgian, Rumunian, Canadian, Hungarian, Chinese, Thai, Yugoslavian, Slovakian, Greek, Finnish, Spanish (both Frankist and Republican) and other units. 1. Infantry survivability increased 2-3 times compared to the vanilla BK. The better a soldier trained or the more experience he has, and the better average physical form of his people is, the more HP he has. It’s clear than an average Chinese is physically weaker and has worse training than an SS trooper. And even that SS trooper is weaker than an NKVD sabouteur or Brandenburg 500 specialist. So special troops are more survivable on the field than regular infantry. Those were the factors (often subjective) that affected infantry HP. The difference is very noticeable on the field. End result is important for us. 2. Infantry squads composition changed and new squads are added. Some squads got fixes to command masks. 3. Many new types of infantry: Soviet guards, NKVD squads (border guards and internal security troops), penal battalions, assault groups (complete with steel body armor), marines, volkssturm, paratroopers, Croatians, Rumunians, Swedes, Mongols, Canadians, Cossacks, Australians, SS troops, saboteurs and other special troops, New Zealandians, Indians and others. See unit list for a precise listing. 5. All infantry is integrated into random mission generator and will appear in chapters and theaters according to historic reality. 6. Increased anti-tank capabilities of infantry. Now infantry has anti-tank grenades, anti-tank grenade launchers, incendiary bottles, rifle grenades, magnetic mines, special backpack charges, anti-tank rifles. Increased attack ranges of grenade launchers and anti-tank rifles, set their armor piercing power according to reality. Grenade launchers have LONG reload time. 7. Number of anti-tank grenades infantry has can vary from 0 to 3-4. Throw range is 10 at max (they are heavy). 8. RKKA and Wehrmach assault squads, Japanese and US marines have infantry flamethrowers and demolition charges to demolish buildings and fortifications and destroy tanks. So, if the player can get them close to a bunker (by using smoke screen and clearing frontal defense troops), the bunker will quickly be destroyed. Sturmpioneers can blow up heavy tanks like KV in this same manner. 9. Snipers are detected more easily, he is not a terminator anymore. He doesn’t always kill with 1 shot as well – he’s just an army sniper, a soldier with a scoped rifle, not some famous ace who were few anyway. Even some squads now have snipers included. 10. Special troops: Soviet army recon and NKVD/SMERSH saboteurs, German saboteurs from Brandenburg group, British SAS and US rangers. Many of those are armed with special weapons not found among regular infantry: silenced SMGs, automatic and semi-auto rifles, special explosives. Specialists can sometimes carry machineguns, anti-tank rifles and grenade launchers as well. 12. Binoculars have smaller sector of view (25 degrees), but can see farther. 13. Artillery crews HP doubled. 15. Added guard and combat dogs (those carry anti-tank explosives), and Japanese kamikaze soldiers. Guard dogs are used by border guards, anti-tank dogs are used in a couple of winter Moscow defense missions. They aren’t very effective, but they existed, so we made them. 16. Introduced cavalry for RKKA, Wehrmachs, Rumunians, Slovakians, Marocco colonial forces, Imperial Japanese Army, Meizi National army, Kuomintang and Voysko Polske. A cavalryman moves much faster than infantry, has more health and is more maneuverable than tanks (he can cross a forest easily). Cavalry can not use melee weapons, they are armed with pistols, revolvers, SMGs, carbines and grenades. They can be used for scouting and to raid enemy supply lines. By 1942 they almost disappear in game because of their vulnerability while mounted. 1)	Tank attack range increased, different weapons have different ranges (Tiger fires farther than a KV-1 with F-32, T-34 – farther than a BT-7, T-34 with F-34 farther than a T-34 with L-11). We have composed a table on all tank, self-propelled gun and AA weapons including barrel lengths and calibers. Then we used formulas to calculate aimed shot distance (resulting ranges are between 30 and 80 tiles, or 1.5-2 times original BK weapons). 2)	Difference between armored vehicle classes: SP guns fire farther than tanks, anti-tank guns fire even farther. Difference of about 5-10% between similar weapons on different unit classes. 3)	Changed aiming time on all weapons. It depends on real stats of the weapon now, so the heavier the gun – the slower it aims. 5)	Small arm stats (range, power, armor piercing ability, fire rate and such) changed closer to reality (tried to account for everything, incl. bullet kinetic energy). So infantry combat range increased, now SMG infantry is more different from riflemen than before (and normal rifles are different from automatic rifles, etc.). Now it really matters which weapon a soldier holds (MP-40 soldier will often get killed by PPSh-41 armed enemy, Soviet soldier with Mosin rifle is better than Manchou-Go soldier with Arisaka, SVT-40 armed marine is even stronger. Same for machineguns – MG-42 is 1.5-2 times as good as a Bren). Weapon ergonomics influence aiming time. 6)	All grenades, mines and bombs have (depending on their explosive power) a chance to immobilize a vehicle. 8)	Many new weapons: napalm, aircraft rockets, explosive charges, incendiary bombs, cluster bombs, naval mines, chemical bombs and shells, etc. 9)	Increased spread and firing range for all automatic infantry weapons and vehicle machineguns. Damage per shot and firing range increased, accuracy decreased. Now machineguns are a powerful force, and their effectiveness depends on fire density. 10)	Decreased shell spread on long-range artillery. This is to balance their low rate of fire. 11)	Changed all aircraft bombs to increase blast radius and armor penetration. 12)	Changed shockwave damage. Now artillery and bombs are more effective against armor. 13)	Changed all aircraft cannons. Now aircraft cannot destroy lots of tanks with 20mm cannon fire, bombs and rockets are anti-armor weapons. 14)	Fully redid flamethrowers. Now they differ by types and effectiveness, and they have NEW EFFECTS! Best of all flamethrowers on Blitzkrieg I and II engines! 15)	Introduced air to air rockets (German R4M). One of Me-262 types carries them. 16)	Starting with v7.03, the game features nuclear weapons. Comrade Ilyaka made fall and explosion effects for the A-bomb. The tactical bomb present in game has the power of about 30 kt. Main use is a single run against enemy armor and infantry. ATTENTION! Use of A-bomb against building should be accompanied by a map script that damages or destroys them. Without that the bomb is useless as engine prevents damage to buildings from indirect hits. 1) New award system for USSR and Germany. Added lots of signs, medals, bands and orders, incl. Allied ones. Almost all real battle awards are included. 7) Japanese award system and ranks with corresponding symbols. Most of new effects are in thanks to the work of comrade Ilyaka. Also, thanks to comrade Alexeyich GZM 7.0 has some new weapon and death sounds. 1)	New sounds for all weapons. Now all guns, rifles, machineguns, SMG, mortars and rocket launchers sound differently. 2)	Fully replaced effects on explosions, fatalities, burning vehicles smoke and weapon shots. More effects for the same event, so now units can burn and explode in a variety of ways. 4)	Increased smoke screen duration, changed its visual effect. Now there is a big advantage in using it during assaults. 5)	By popular demands, added cartridge extraction sound to many field gun shots. 10)	Aircraft rockets got their own realistic launch effect, so now flaming bolts fly to the enemy from the sky! 15)	New hit effects for heavy machineguns and automatic cannons. 16)	Signal smoke effect. Can be used as a weapon on artillery spotter vehicles. 19)	Weather effect duration increased. Depends mostly on random, rain or storm can last from a few minutes to half an hour. 20)	Replaced tank engine sound for more realistic ones. Most noticeable on Pz. III and IV, Tigers, Panthers and T-34. Now mod changes almost all sounds in game, apart from some music. Based on GZM 5.55 experience, we came to conclusion that while standard UI is the most functional and Stalingrad UI is better aestetically, hybrid UI will be the best solution. So GZM 7.0 UI has the same functionality as standard BK UI, but looks very much like Stalingrad one. Sergey Brich edited the video clips for the game. 3)	To make the videos, we only used bits of WW2 footage (incl. color ones) and bits from “WW2 in colour” from Discovery channel. It should be noted that some units can be used (and ARE used) by a few different nations, guns and mortars for example, but they are only listed once (to avoid duplication). If something is listed more than once, then that unit was used by different nations and has different sounds, camo and sometimes even stats. Based on GZM 5.55 experience, we came to conclusion that while standard UI is the most functional and Stalingrad UI is better aestetically, hybrid UI will be the best solution. So GZM 7.0 UI has the same functionality as standard BK UI, but looks very much like Stalingrad one??? Hello. Is GZM 9.0 in the works? I've heard rumors elsewhere but i cannot find info about it anywhere. Some of the community members have translated most of the missions to english from the campaign. Not all. Now I am trying to help translate the rest (and maybe also "Objects" and such so they appear in english, like unit names etc but that is secondary") at the moment I am stuck. When you advance the campaign, sometimes you get "random missions" and those are not Historical and I cannot find where they are located in the pak. to translate them because they are in russian while the rest of missions are in english, with translation. All the rest of the campaign historical missions I seem to have found their locations. So any idea? to be more precise I need to know where i can find the "Random Missions" that play throughout the campaign to translate them, like the locations. I still cannot find this certain mission. CAn you help me identify the file name within the pak.? I find it difficult to navigate, I have a newer version of the game. The folder type is completely different. Search for folders "MapsScenarios / Scenarios / Descriptions" in other "PAK" files, for example: "GZM....Alies.pak", or somewhere else. Perhaps the translation of random missions is not very relevant. Once upon a time there will be GZM_9... The random missions there is slightly changed. Тranslation of historical missions will remain relevant. Then make changes to the new version of the game. Thanks for your work. Wait for the new version of the game. will it be easier to translate the missions in gzm 9? Will it have the same placement in pak's or it will be better? In version 9 everything will also be in the "PAK" files. A set of files and their name will be different. All texts are random missions in one folder. It's hard to tell why you can not find the text.